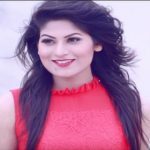 Afsana Ara Bindu is one of the well-known models the in Bangladeshi showbiz industry. Bindu was the first runner up of Lux channel I superstar in 2006. Bangladeshi model Bindu is a successful model, actress, and presenter. Bindu is the most well-liked actress in Bangladesh. Bangladeshi model, Bindu looks attractive and one of the best preference Bangladeshi actresses. Afsana Ara Bindu was born on January 14, 1988, in Dhaka, Bangladesh to a Muslim family, currently living in Dhaka. Bindu had early ambitions of becoming a film actress. Now she is a well-known film actress. She is studying in Jahangir Nagar University in IBA section. Afsana Ara Bindu made her debut in the Dhallywood film industry with the movie Daruchinni deep directed by Humayun Ahmed. Bindu’s first movie Daruchinni deep has created a fierce stir in the Dhallywood box office. Jago is another commercially successful movie where she showed terrific performance with co-actor Ferdous Ahmed. Gradually Bangladeshi model Bindu becomes a very good popular actress in Bangla Natok. Bindu’s another movie such as Ai to Prem, Pritier Dukaduri. No doubt she is one of the most stylish and beautiful women in Bangladeshi film industry. Bindu has also acted in Bangladeshi television dramas and telefilms. Bindu appeared in numerous commercial successes and was recognized for several performances as well as dance numbers in various films. 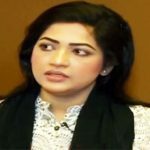 Afsan Ara Bindu works in drama, advertisement, cinema, telefilm. She has an attractive figure for that boys are very crazy. Lux Chanel I superstar Afsana Ara Bindu, got married to a Bangladeshi businessman Asif Salauddin Malik. He is the owner’s Asif Apparel Limited. It is very shocked news for her fans that she no more continues acting career after marriage. Hi, Thanks for your nice blog.